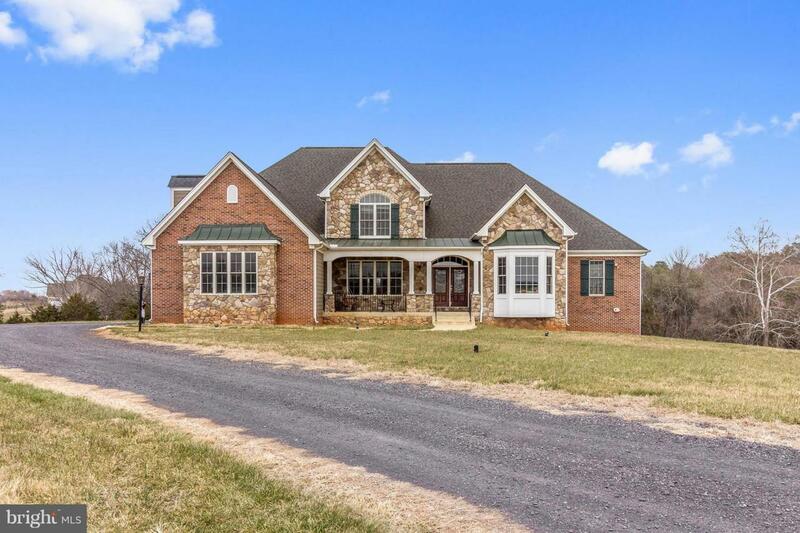 Few homes in Culpeper boast this level of comfortable elegance and fine attention to detail! 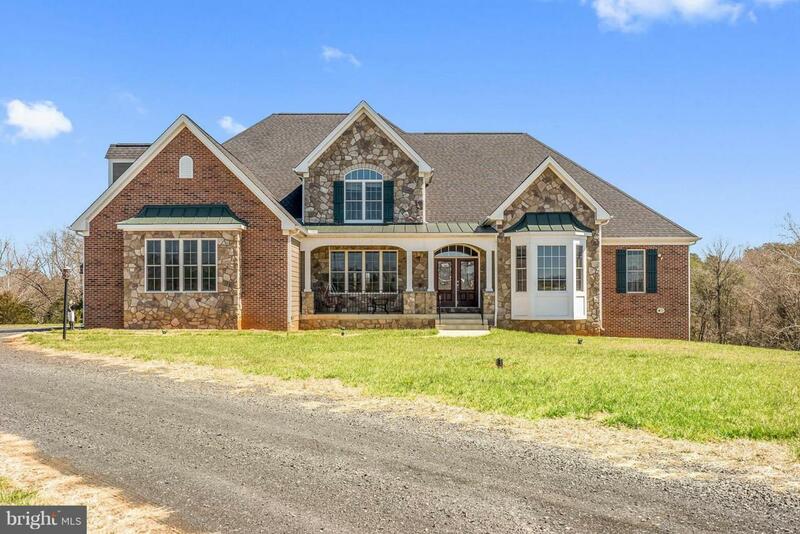 Part of a small equestrian community and situated on a lovely 9+ acre lot overlooking bucolic Mystic Hill Farm, this Graystone Homes one-of-a-kind custom cape boasts almost 6,500 sq/ft of magnificent space. Upon entering the gracious foyer, you'll realize you're somewhere special. Stone walls give way to beamed and vaulted ceilings and stone fireplaces. 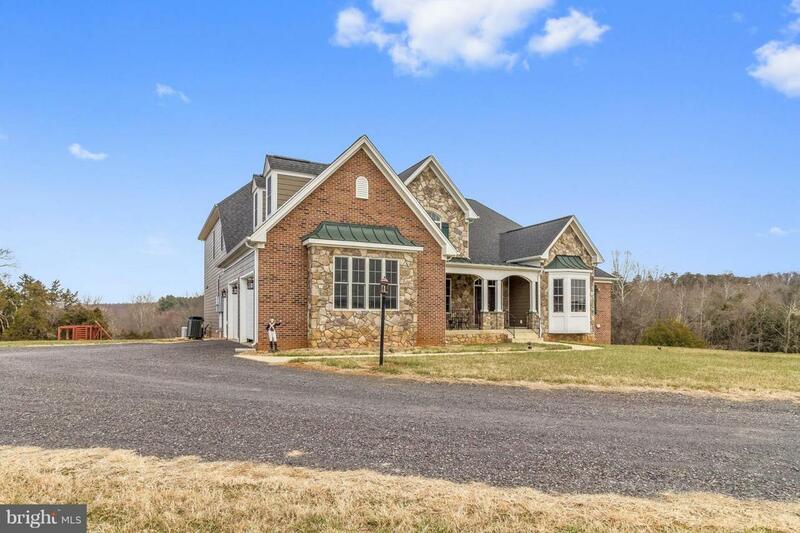 This home offers 5 over-sized bedrooms, 5.5 baths, massive gourmet kitchen, formal dining room, study, large family room, first floor owner's suite with large bath and walk-in closet with island. The second floor gives way to a second master and two more large bedrooms with jack-n-jill bath. The lower walk-out level provides an incredible amount of additional space - from the large rec and game room to the comfy den with wet bar and stone fireplace to another bedroom with full bath. The home transitions to the outside with a fantastic covered porch, complete with built in grill, fireplace and vaulted beamed ceiling. Property has a whole house generator, large machine shed with office, run in shed and site work has been done (water and electric run) for a barn. 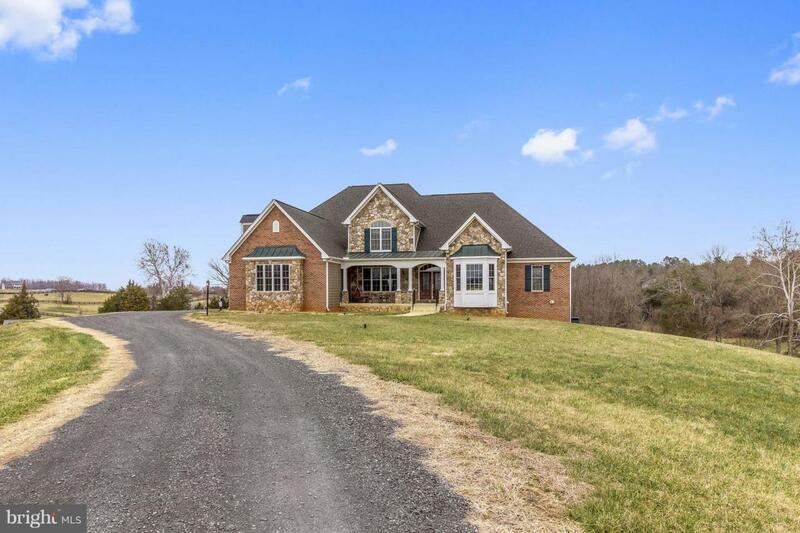 An incredible opportunity for the discerning horse enthusiast and all just a stones throw from major commuting routes and all Culpeper has to offer.